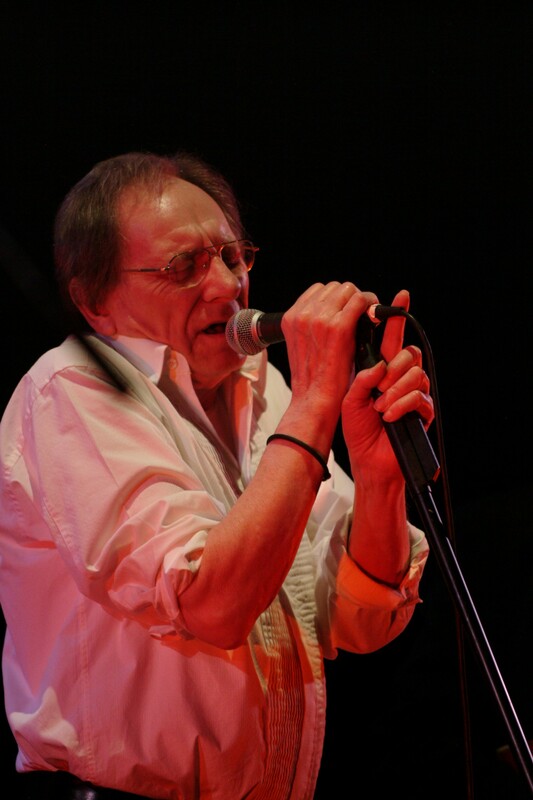 On Wednesday 4 July, the Eel Pie All-Stars and special musician guests will be performing to benefit The Prostate Cancer Charity in memory of the late Art Wood’s Birthday. 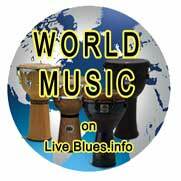 This will be a fantastic night of rockin’ rhythm n blues. Not to be missed! Doors 8:30pm. Music from 9-11:30pm. In the mid-Sixties, the mod favourites the Artwoods were tipped as the next big thing to follow the Yardbirds and the Animals. Formed by the vocalist Art Wood, the five-piece group regularly played on Eel Pie Island and at the 100 Club in London. They covered some great rhythm’n'blues material, released five singles, an EP and an album on Decca and even appeared on Ready, Steady, Go! However, they are better remembered now as the band for which Jon Lord played keyboards before launching Deep Purple. Art Wood and his brother Ted also had an important influence on the career of Ronnie, the youngest Wood brother, who was also in a mod group, the Birds, and went on to join the Creation, the Jeff Beck Group and the Faces, and has been the Rolling Stones guitarist since 1975. In fact, the Faces evolved from a short-lived group called Quiet Melon which Art Wood formed in 1969. “Ron and the members of the Small Faces were between jobs at the time and completely skint,” he recalled. …In 1950, Art Wood enrolled at Ealing School of Art, and took a keen interest in typography, graphic design and fine art. He was the first from the college in a long line of wannabe musicians which would include both his brothers, Pete Townshend of the Who, Freddie Mercury of Queen and David Bowie. …By 1962, Art was one of several singers with Blues Incorporated, the ensemble led by Alexis Korner and Cyril Davies which featured Charlie Watts on drums and also gave guest spots to Mick Jagger, Paul Jones and Long John Baldry. They took over the Marquee Club and inspired the British rhythm’n'blues boom which followed. 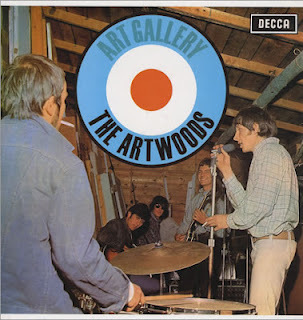 …In 1964, the Art Wood Combo became the Artwoods, with a line-up comprising Wood, Lord, the guitarist Derek Griffiths, drummer Keef Hartley and bassist Malcolm Pool. They turned professional, secured a residency at the 100 Club in Oxford Street and signed to Decca Records. The group developed a formidable reputation as a live attraction and issued five singles, including dynamic versions of Leadbelly’s “Sweet Mary” and Sam and Dave’s “I Take What I Want”, an EP called Jazz In Jeans and an album entitled Art Gallery – all now very collectable – between November 1964 and November 1966. …While none of their Decca 45s charted in the UK, they developed a following in continental Europe generally, and France in particular, thanks to appearances at La Locomotive in Paris, although a paucity of original material did for them.